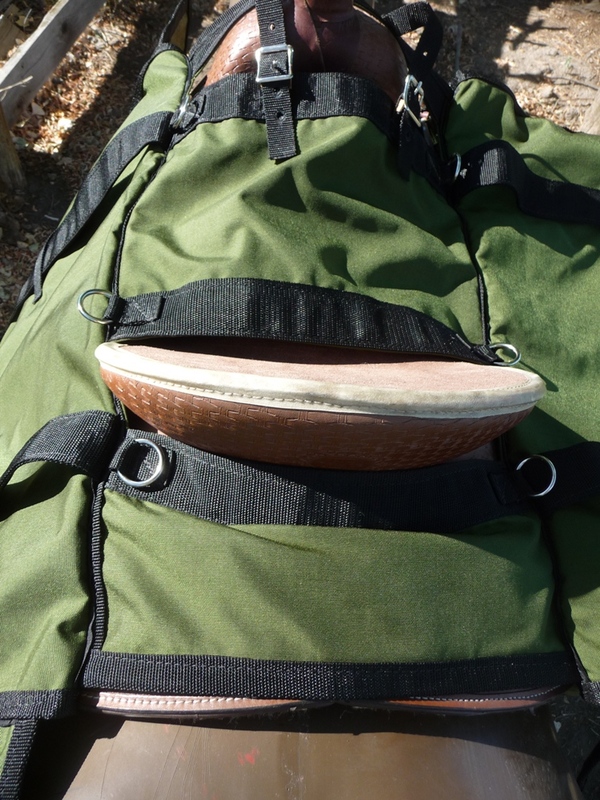 Western Riding Saddle Panniers are for folks who do more riding than packing but still need to carry sleeping bags and other camping supplies. Please take a look at our video. Just click on the link below. As you can see, the panniers fit over a western riding saddle. We attached many rings to the panniers, so you can strap them down securely. 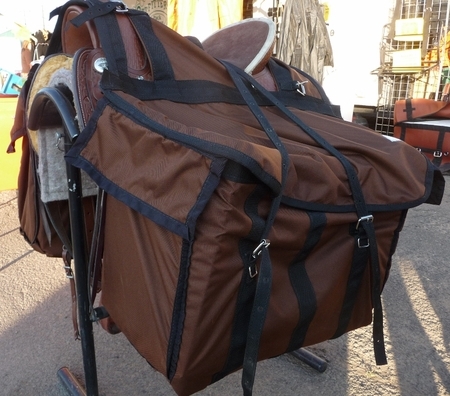 The Western Riding Saddle Pannier is about the same size as other panniers and made of a 1000 denier Cordura fabric. Our Pannier liners fit inside the panniers.